An entrancing but sad story of a poverty-stricken Massachusetts farmer caught in a loveless marriage. 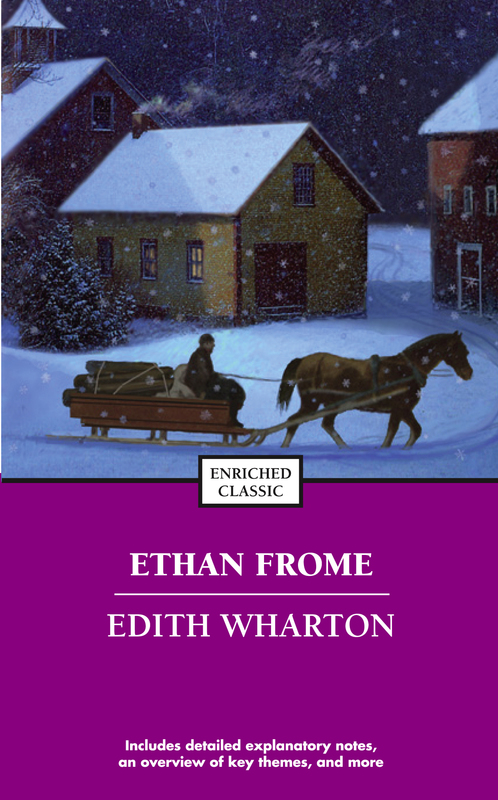 The main characters are Ethan Frome, his wife Zenobia, called Zeena, and her young cousin Mattie Silver. Frome and Zeena marry after she nurses his mother in her last illness. Although Frome seems ambitious and intelligent, Zeena holds him back. When her young cousin Mattie comes to stay on their New England farm, Frome falls in love with her. But the social conventions of the day doom their love and their hopes. Ethan’s love for his young cousin leads to one day of explosive emotions with tragic consequences. The story forcefully conveys Wharton’s abhorrence of society’s unbending standards of loyalty.